Set against the backdrop of the turbulent late 1960s and early 1970s, this compelling book provides the first comprehensive history of the 1972 Munich Olympic Games, notorious for the abduction of Israeli Olympians by Palestinian terrorists and the hostages’ tragic deaths after a botched rescue mission by the German police. Drawing on a wealth of newly available sources from the time, eminent historian David Clay Large explores the 1972 festival in all its ramifications in Munich 1972 (Rowman & Littlefield, $29.95). Writing with flair and an eye for telling detail, Large brings to life the stories of the indelible characters who epitomized the Games. With the Olympic movement in constant danger of terrorist disruption, and with the fortieth anniversary of the 1972 tragedy upon us in 2012, the Munich story is more timely than ever. 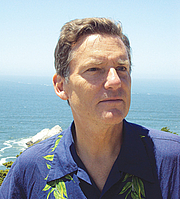 David Clay Large is currently considered a "single author." If one or more works are by a distinct, homonymous authors, go ahead and split the author. David Clay Large is composed of 2 names. You can examine and separate out names.